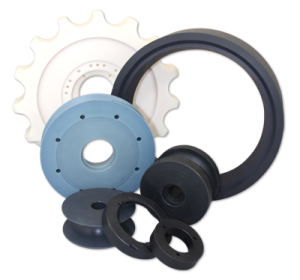 Nylatech specializes in the manufacturing of cast nylon 6 and 6/12. Our full line manufacturing capabilities allow for the production of all your stock shape needs including tubular bar, rod and plate stock. We also produce semi-finished and finished custom cast components for increased savings and quick turnarounds. Custom sizes available to improve part yield and reduce material cost.